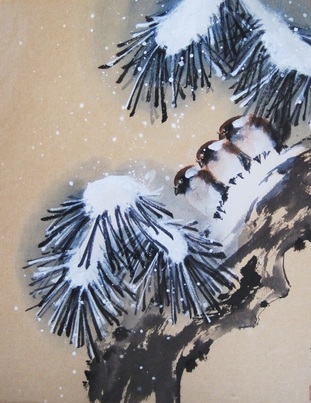 An interview with Jan Walker, artist and teacher of Chinese painting. Artist Freya Purdue talks about the symbolism of light and its effect in the use of electronic devices. For more on Freya's work, visit her blog. "In my work I am trying to rediscover and reinvent some of the poetry and magic of life by metaphorically peeling back the outer skin of our physical world. In this journey of discovery various impressions of my environment, including the surrounding landscape with its all of its poetic richness, seeps into and impinges upon the sum of my experience and ideas, finding there a resonance with various themes either with a mythological, cosmological or spiritual emphasis. Visual motifs recur in which the physicality of paint becomes infused with an otherworldliness. Elements are held in a state of tension as they become polarized, creating a heightened sense of drama and dynamic interplay that always finds a reconciliation."